Well, Thanksgiving has come and gone and the countdown for Christmas has officially begun, although retailers have been counting down since the end of September. We are officially 25 days away from the big day and that means it’s time to get out and find yourself that perfect Christmas tree. For most people, decorating the Christmas tree is their favorite part of the holiday. 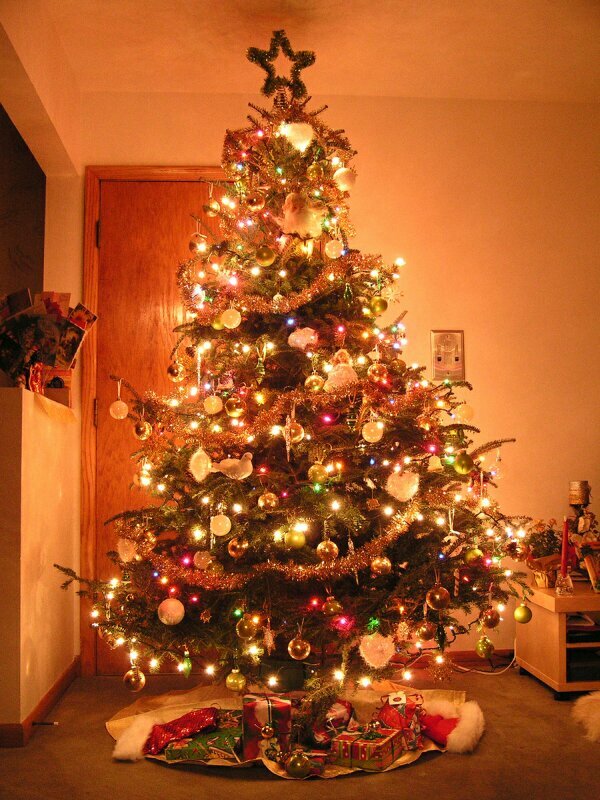 Although fun and decorative, natural and artificial Christmas trees start an average of 250 structure fires each year according to the National Fire Protection Association. These fires cause approximately 14 deaths, 26 injuries and $13.8 million in property damage yearly. With this being said, the National Safety Council offers some Christmas tree safety tips to make sure a mishap doesn’t spoil your holiday season. Try to select a fresh tree by looking for one that is green. The needles of pines and spruces should bend and not break and should be hard to pull off the branches. On fir species, a needle pulled from a fresh tree will snap when bent, much like a fresh carrot. Also, look for a trunk sticky with sap. Cut off about two inches of the trunk and put the tree in a sturdy, water-holding stand. Keep the stand filled with water so the tree does not dry out quickly. Line-voltage holiday or decorative lights start an average of 170 home structure fires each year, according to the National Fire Protection Association. These fires cause approximately 7 deaths, 17 injuries and $7.9 million in property damage yearly. Only use indoor lights indoors (and outdoor lights only outdoors). Look for the UL label. Check lights for broken or cracked sockets, frayed or bare wires, or loose connections. Replace or repair any damaged light sets. Also, use no more than three light sets on any one extension cord. Extension cords should be placed against the wall to avoid tripping hazards, but do not run cords under rugs. Always use the proper step stool or ladder to reach high places. Never place lighted candles on a tree or near any flammable materials. 30 seconds might be too late!